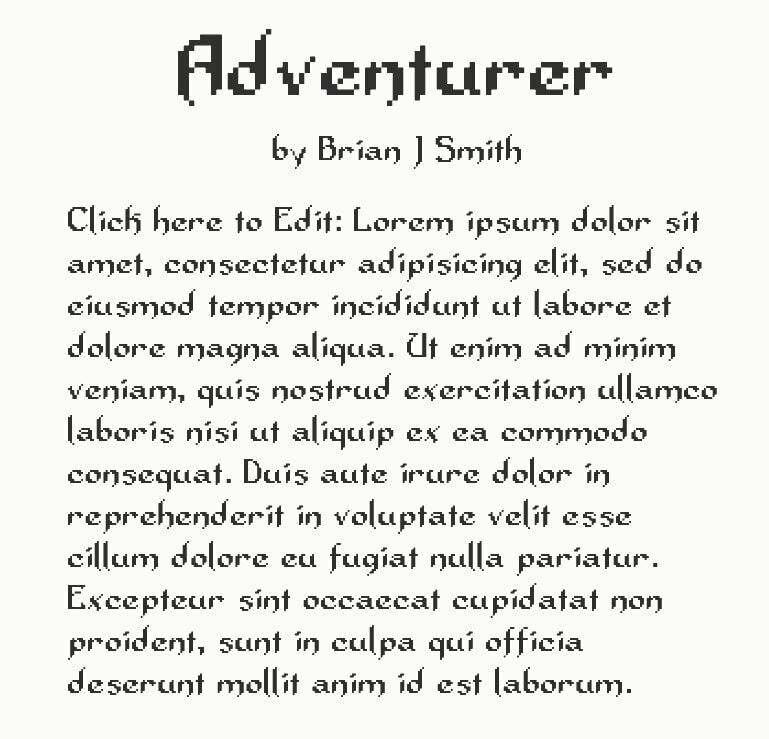 BitFontMaker2 is a simple Bitmap font Editor that lets you create pixel fonts online, in your web browser. Our 30 best free pixel fonts feature included many retro, 80’s-inspired fonts created in BitFontMaker2 – a browser-based tool, that lets you create pixel fonts in an 8-bit, pixel art style. Launched in 2011 by Pentacom, it allows users to shape typefaces letter-by-letter and pixel-by-pixel through an easy-to-use grid-based interface. Clicking a square selects a pixel and colours it black, clicking again deselects and leaves the pixel blank. A handy, glyph-shaped overlay guides the process, providing a suggested form from which to work from which users can follow, ignore or manipulate. The mouse-only workflow and one-click export make it super easy to create, download and share fonts in .ttf format. The simplicity of the UI belies it’s versatility, demonstrated by the incredible gallery of user-created examples – most of which fall under a Public Domain license, meaning that they are free to download and free to use in personal or commercial projects. Check out the tool @ pentacom.jp.